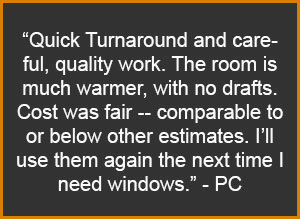 Any home improvement expert will agree that to maintain exterior windows requires good seals. From the simple single-pane windows of the past, to the energy-efficient, triple pane windows of today, poor seals cause problems. A broken or incomplete seal enables moisture and cold air to enter the home, negating the window’s insulating properties.. Therefore, it’s critical to conduct regular inspections of those seals to insure that they are intact each year. Today we’ll cover how to check for failing seals, and how to repair/maintain them for years of optimal performance. Friends don’t let friends neglect to maintain their exterior windows. The most obvious sign that of a failing seal is pooling moisture appearing inside of a window’s bottom corners. Big drafts or vulnerabilities in the seal are easy to identify, but smaller drafts can be tricky. To find a small leak, light a tea candle and hold it close to the window’s seams. As you navigate the flame around the seam, if the candle flickers it means that air is getting through. Air passing through the window indicates a compromised seal. Homeowners should not mistaken the presence of interior condensation for a leak. An airtight seal causes condensation because moist air cannot escape outside. Correct issues with interior condensation by simply cracking the window on a regular basis to promote airflow. If a seal requires replacement, begin the repair process by removing the old caulking. Remove older, brittle caulking with an average sized putty knife. For more stubborn jobs, use a caulk softener to ease the process. Allow the softener to seep into the seal for a couple hours, then proceed with scraping it out. When scraping out old caulk, try to remove as much as possible, so the new seal will adhere. Finally, after scraping out the bulk of the material, a compressed air duster helps remove any remaining bits. After removing all remaining caulk, its time to apply the new seal. A silicone-based, paintable caulk is preferable. Silicone is a better option because it lasts longer and handles direct sunlight and extreme temperatures better than latex-based caulk. Cut the tube at a 45-degree angle and load it into caulking gun. Then apply the caulking around the window in a slow, smooth motion. This ensures that the distribution of an even and sufficient amount of caulking around the window. After applying caulk, use a caulk finisher or a dampened finger to press the caulk into the gaps. This gives the bead a clean, finished look. Fresh caulking requires anywhere between 24-48 hours to completely set. Therefore, keep an eye on the upcoming forecast before starting to avoid a rainy, windy stretch of weather. Regardless of the type and quality of installation, caulking is going to fail at some point in time. Consequently, the best way to prevent a failing seal, dry rot and other issues, is to perform regular inspections. Using the candle trick mentioned above is a great, but routine visual inspections also help identify issue early on. 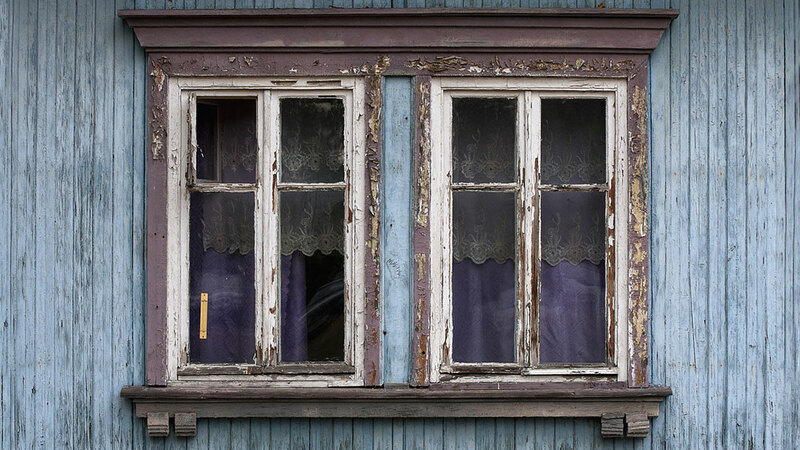 Have your own tips on how to maintain exterior windows? Share them in the comments below!